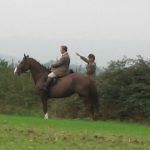 The Cotswold Vale Farmers’ Hunt are a small hunt who were established in 1947 and who hunt in Gloucestershire (and only just over the border into Herefordshire). They hunt an area around the Forest of Dean and Gloucester with their kennels based not far from Tewkesbury, between the A38 and M5. They generally hunt on Tuesdays and Saturdays throughout the season (August to April). Until the most recent seasons when we’ve had the company of huntsman Simon French (who moved over to the Croome and West Warwickshire as whipper-in at the end of the 2016 – 2017 season) Jason Mahon was huntsman, Alan Morgan prior to that. 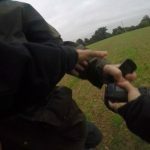 Saboteurs are not the only ones who have been assaulted by the hunt and, while we cannot publish details of incidents affecting others locally without their permission, we can say that members of the hunt have attacked locals who did not want the hunt trespassing on their land. 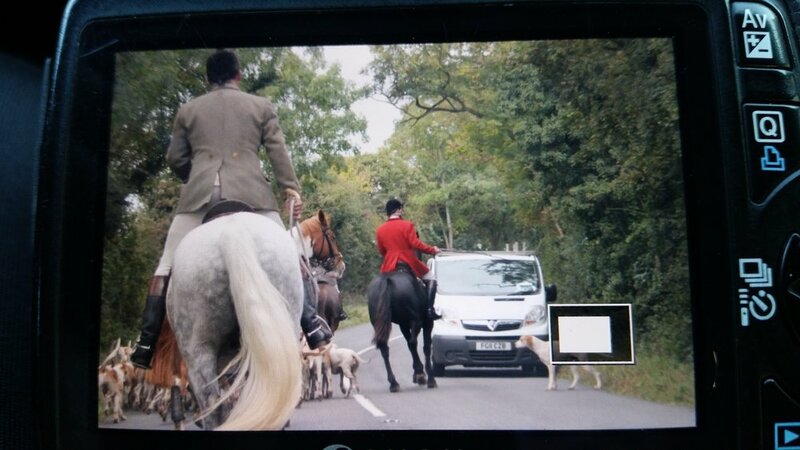 3C sabs intervened and managed to calm the situation down, but severe damage was already done. Despite their violent history, the hunt have managed to tone the aggression down to an extent. 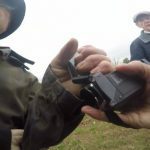 Assaults on sabs are still inevitable during the seasons and cameras are still a focus of their aggression, but their reputation has certainly changed. Moving on to the most recent seasons, the hunt are now more well-known for chasing deer more than foxes (although foxes are obviously not safe around them, especially near the hunt’s terriermen – one of which is John Hodges’ son, Nick). What else could be expected, though, of a hunt who acted like this on the opening meet of the season in 2015. Drunk-driving hunt staff, hacking home along busy roads and hounds paying more attention to the scent of a deer when a fox had just run past, hunt staff stupid enough to signal the presence of the fox despite sab presence! We believe that the CVFH may be one of the only hunts in our area that do not tamper with badger setts (in terms of blocking them prior to hunt meets). We do, however, believe that they use bagged foxes and will also dig-out badger setts if foxes seek shelter within them. Boxing Day 2016 was one such day with a sab coming across the terriermen messing about at an active badger sett which the hunt had just hunted a fox towards… the sett was also targetted during the last 4 years of the badger cull in Gloucestershire. Huntmaster Ed Burrows was recently at the Royal Three Counties Show in Malvern (June 2017) so watch this space for a video of his talk! 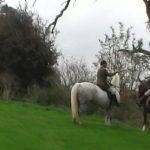 In March 2017, having been master for some time, he claimed that he was “new to the mastership” when a landowner complained that she had not been told that the hunt would be coming across her land. Especially given that much of the land the hunt cross is within the Gloucestershire badger culling zone and various areas have had outbreaks of bTB landowners should definitely be contacted for permission before the hunt go prancing off on any land they fancy!